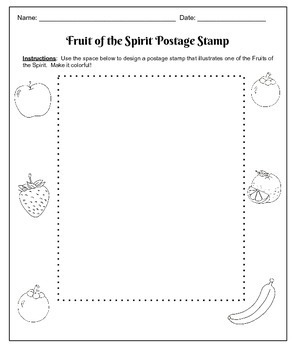 Did you know October is National Stamp Collecting Month? 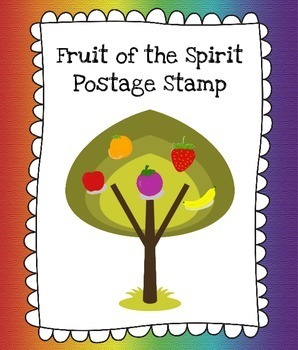 Students will use this printable to design and create a "postage" stamp depicting one of the Fruits of the Spirit. I would appreciate a 5 star rating so teacher will know the quality of my work. Thanks for your time! Earn TPT Credits while helping me grow my store! Earn TpT Credits for purchases on TpT. You get one TpT Credit for every $ you spend on TpT. Thing is, you only get the Credits after you Provide Feedback -- both a fair rating and a fair comment -- on the items that you purchase. Please help me by rating and commenting on products you purchase from me. Thank you! The program is retroactive to feedback provided on all TPT purchases since August 1, 2011. When you check out, you will be given the option of applying your TpT Credits to your purchase, thereby discounting your purchase price accordingly. Thank you for choosing to spend your money in my store!